Are You Ready for OU Football? OU opens the home portion of its 2015 football schedule by hosting Marshall at 7 p.m. ET Saturday, Sept. 12. 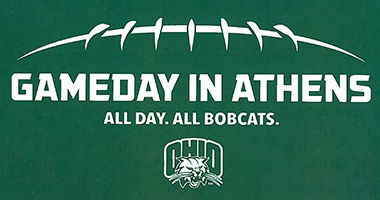 The Ohio University Alumni Association and OHIO Athletics have partnered to offer a special fundraising opportunity for Chapters and Societies and an opportunity for alumni and friends to return to the Athens for the home football opener against Marshall University. To save $10 per ticket, go to http://bit.ly/1DNrPCQ and place your order. Plus, you can support the alumni chapter or society of your choice! Tickets will be located in Section 123, right next to the Marching 110! Take advantage of this excellent opportunity to help chapters and societies raise money and return to Athens to Stand Up and Cheer for OUr Ohio Bobcats! 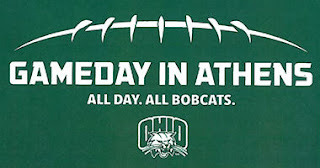 For more information and links to watch/listen online, visit OhioBobcats.com.